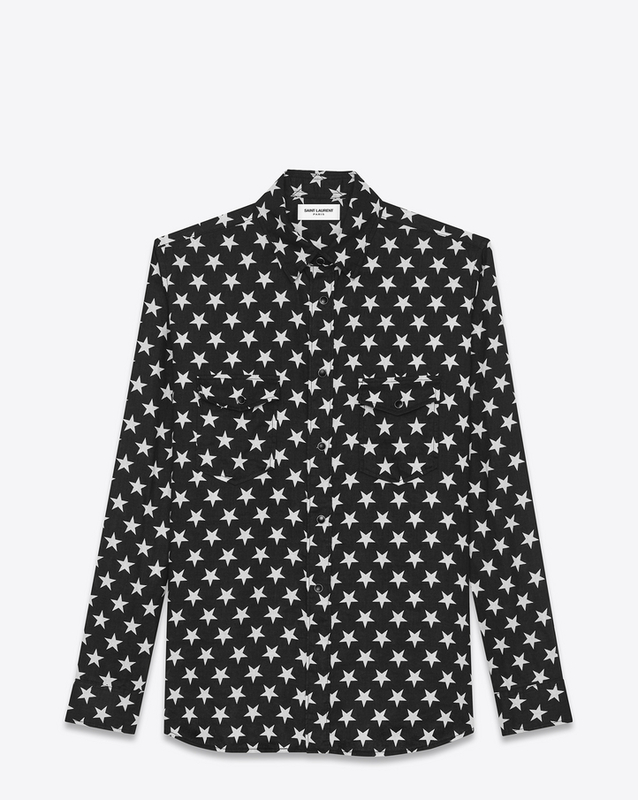 Saint Laurent star print shirt. Yet another Saint Laurent dupe has caught my eye, and I'm NOT complaining! 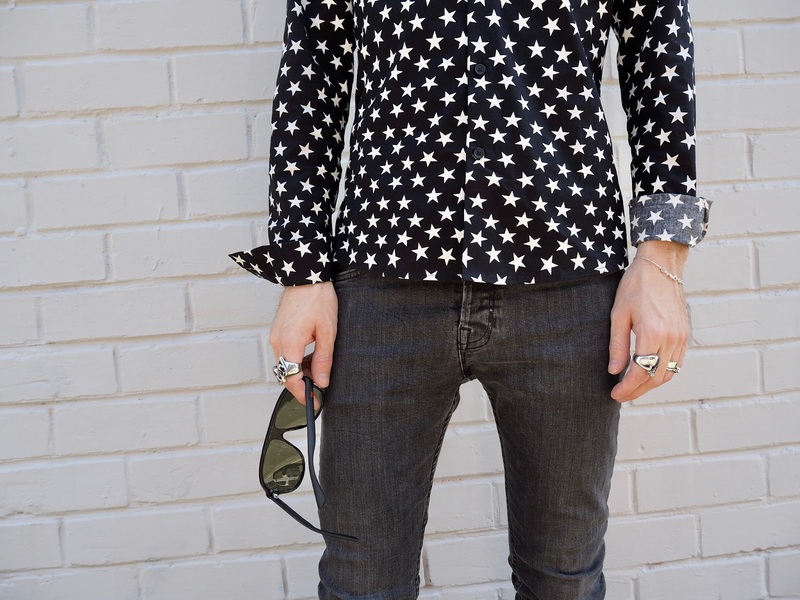 The shirt I'm about to share with you looks remarkably like the YSL shirt above. Another patterned shirt I have longed for, but have sadly never found, that is until now. I found this dupe on Asos and you have to agree, it's very similar. 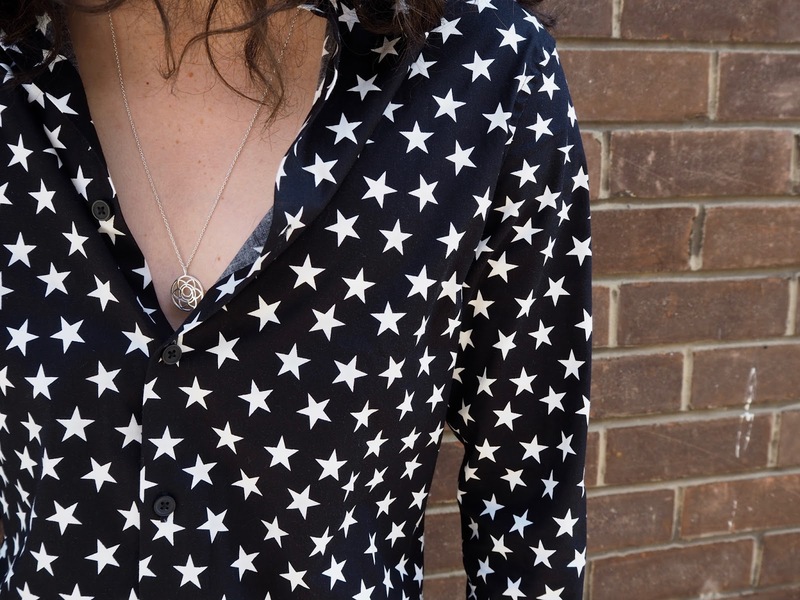 Previous shirts I've noticed in the past, with this super cool star print pattern, have always had the stars either too big or too small, never the right size. Asos, however, have nailed it! 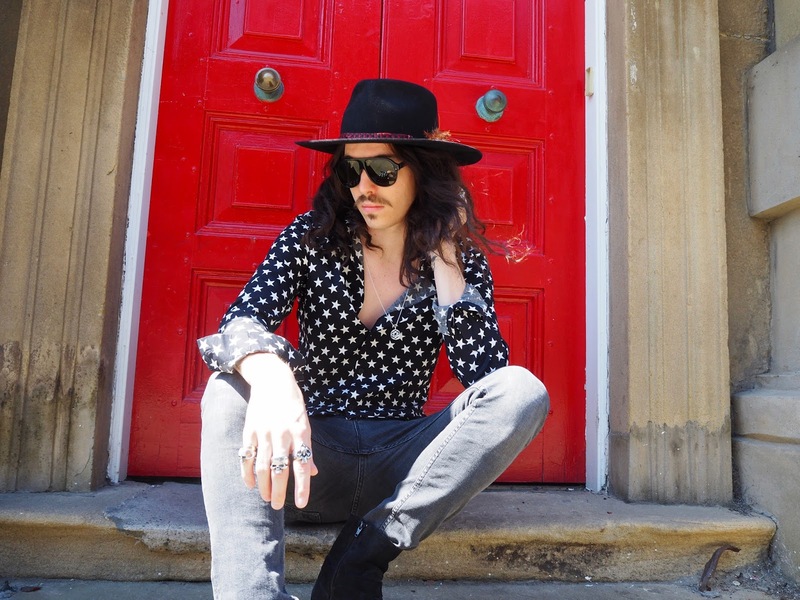 The Asos shirt is a cotton shirt with black buttons and an open collar. 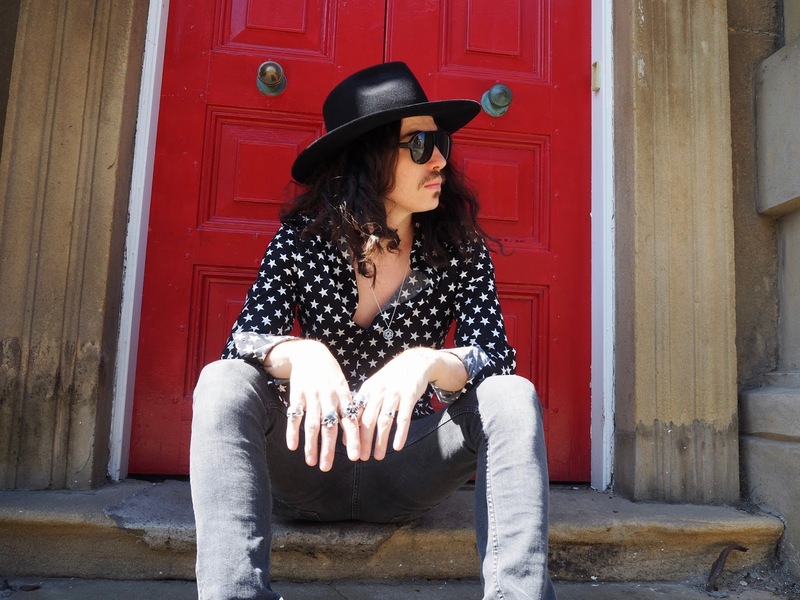 I bought this shirt a few weeks ago, luckily for you lot, it's recently gone into sale, it's now a complete steal at only £15! What a bargain! 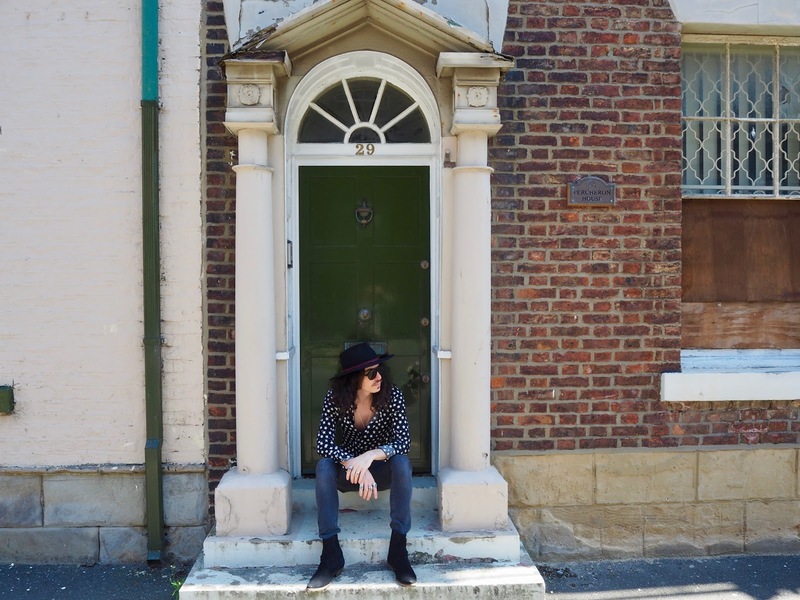 Especially when you compare it to the YSL shirt at £420. Yes, the Asos shirt may not have the breast pockets or snap-down buttons, but you really can achieve the same look for a lot less! I've styled this outfit with a pair of skinny jeans, this time with no holes in, I really need more black denim without any rips! 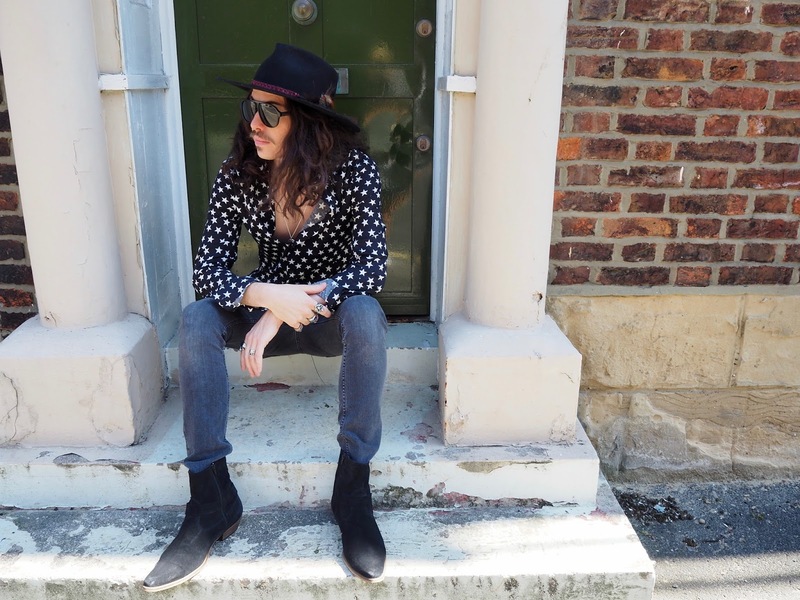 Teamed with my suede buckle Topman boots and signature hat, this shirt looks ace! With the recent warm weather, I've found it hard to wear a lot of jewellery, so I've just stuck with one simple necklace and one matching bracelet, not forgetting my usual handful of rings. This look, after all, is about the shirt and I personally think it looks killer. 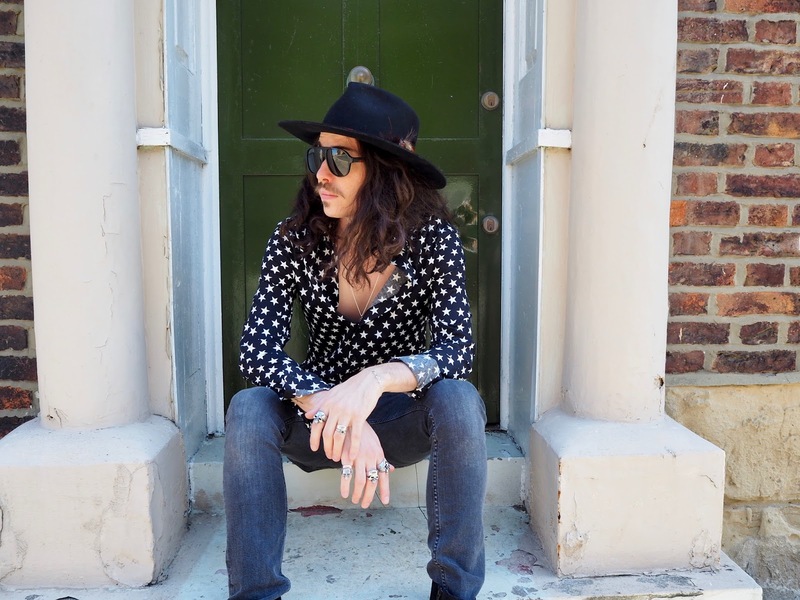 Worn alone in the summer, or dressed underneath a leather in the winter months, this shirt will look cool all year around. 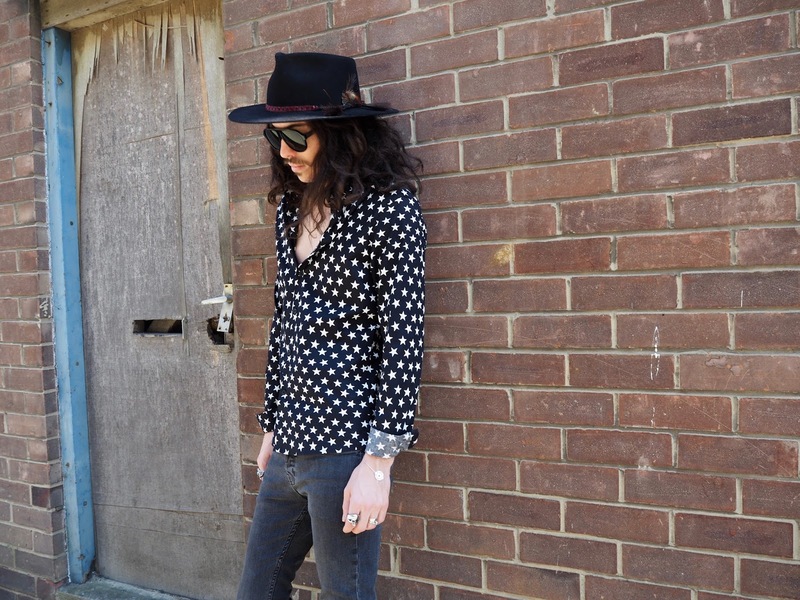 To shop both the shirts follow the links below, I've put the Asos link first, wink, wink. 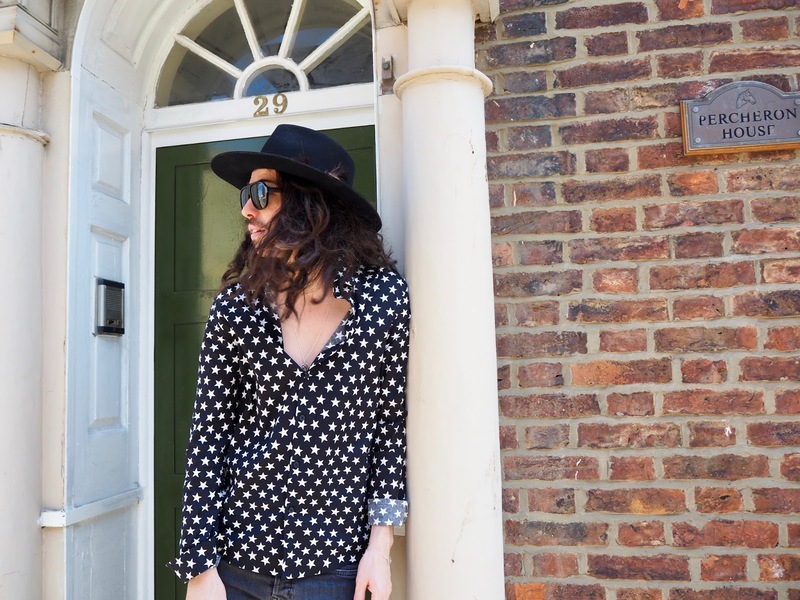 Shop the ASOS shirt here. 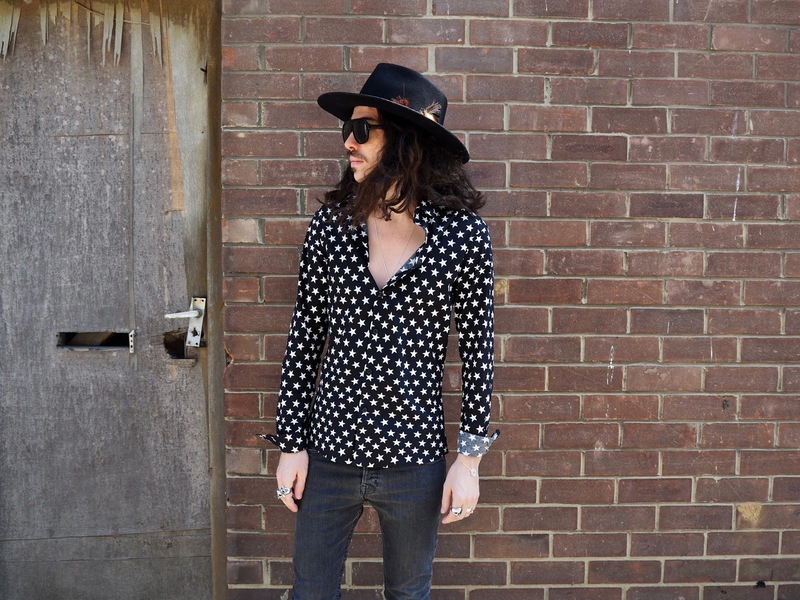 Shop the SAINT LAURENT shirt here. This one shirt is stylish and pretty looking, perfect for those who love new fashion trends. From where we can buy it?